With the wider Batwing Dumpy we have tried to keep the performance of our beach break short board shape, but make it wider and thicker in the foil to give you more foam, so catching waves in small clean conditions is easier without losing performance. We surf this in a five fin set up, the back fin being a smaller stumpy, which gives the board loads of drive but also a wide surface area to push or slide that bat wing tail out into turns. The bat wing tail shape enables a tighter turn off the bottom to jump up onto the lips and cross closing sections. One of the most versatile boards you could ever own, ultimate performance and maximum paddle power. Keen on what you hear? There is a Vudu Batwing Demo model available for you to have a go!! Inquire in store for more information. “I love pulling into hollow pits on this board a you can almost plant your front foot into a nose dive position to drop into the barrel, yet the extra foam in the nose area prevent it from nose diving allowing for late take off straight into the pit, five fins means more hold and more drive. The five fin and bat tail set up also works amazingly well at point breaks where the board enables incredible top to bottom drive. Allowing for tight and precise turns off the bottom and in the pocket.” – Vudu Teamrider Robby McDonald. “The speed and drive of this board is mind-boggling. Even as someone who has never been a fan of multiple fin set-ups, I was totally won over by the Batwing. After only surfing on the board once, I immediately ordered myself one. 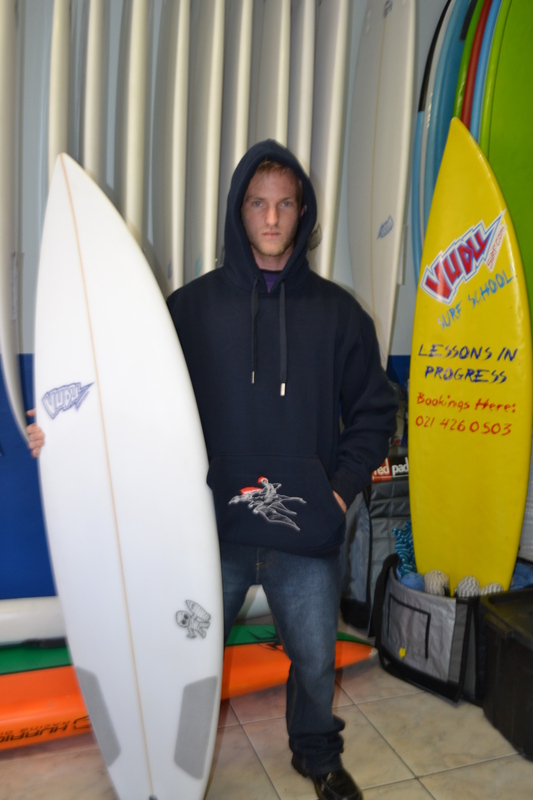 It is a board no quiver should be without. Being a surfer who prefers power-based surfing I was unsure at first but with the immense speed and drive my surfing only became more powerful thanks to the 5-fin arrangement and bat tail. 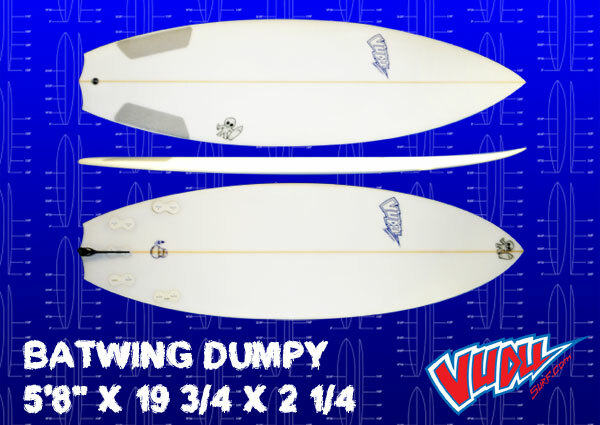 I highly recommend riding it as a 5-er (Quad set up with the “stompie” back fin) this allows you to pivot off the back fin and seriously lay it into your turns with the board responding beautifully.” – Vudu Teamrider Ross Kirby. Feel free to comment with any feedback, questions or advice you may have! We want to know what you think.